Gordon Matthew Thomas Sumner CBE (born 2 October 1951 in Wallsend, Newcastle upon Tyne, England), known by his stage name Sting, is an English musician, singer-songwriter, multi-instrumentalist, activist, actor and philanthropist. Prior to starting his solo career, he was the principal songwriter, lead singer and bassist for the rock band The Police. Throughout his career, Sting has incorporated distinct elements of jazz, reggae, classical, New Age, and worldbeat into his music. As a solo musician and member of The Police, Sting has received sixteen Grammy Awards; receiving his first Grammy for Best Rock Instrumental Performance in 1981, three Brit Awards (including Best British Male in 1994), a Golden Globe, an Emmy Award, and several Oscar nominations for Best Original Song. He is a member of both the Rock and Roll Hall of Fame and the Songwriters Hall of Fame. Born Gordon Matthew Sumner, he is the eldest of four children. Sumner was raised in the Roman Catholic tradition, due to the influence of his paternal grandmother, who was from an Irish family. He attended St Cuthbert's Grammar School in Newcastle upon Tyne, and then the University of Warwick, but did not graduate. During this time, he often sneaked into nightclubs like the Club-a-Go-Go. Here he saw acts like Jack Bruce and Jimi Hendrix, who would later influence his music. After jobs as a bus conductor, a construction labourer, and a tax officer, he attended Northern Counties Teachers' Training College, which later became part of Northumbria University, from 1971 to 1974. He then worked as a teacher at St Paul's First School in Cramlington for two years. From an early age, Sumner knew that he wanted to be a musician. His first music gigs were wherever he could get a job, performing evenings, weekends, and during vacations from college and teaching. He played with local jazz bands such as the Phoenix Jazzmen, the Newcastle Big Band, and Last Exit. He gained his nickname while with the Phoenix Jazzmen. He once performed wearing a black and yellow jersey with hooped stripes that bandleader Gordon Solomon had noted made him look like a bumblebee; thus Sumner became "Sting". In January 1977, Sting moved from Newcastle to London, and soon thereafter he joined Stewart Copeland and Henry Padovani (who was very soon replaced by Andy Summers) to form the new wave band The Police. The group had several chart-topping albums and won six Grammy Awards in the early 1980s. Although they jumped on the punk bandwagon early in their career, The Police soon abandoned that sound in favor of reggae-tinged rock and minimalist pop. Their last album, Synchronicity, which included their most successful song, " Every Breath You Take", was released in 1983. In September 1981 Sting made his first live solo appearance, performing on all four nights of the fourth Amnesty International benefit The Secret Policeman's Other Ball at the invitation of producer Martin Lewis. He also led an all-star band (dubbed The Secret Police) on his own arrangement of Bob Dylan's, "I Shall Be Released". The band and chorus included Eric Clapton, Jeff Beck, Phil Collins, Bob Geldof, and Midge Ure, all of whom (except Beck) later worked together on Live Aid. His performances were featured prominently in the album and film of the show and drew Sting major critical attention. Sting's participation in The Secret Policeman's Other Ball was the beginning of his growing involvement in raising money and consciousness for political and social causes. In 1982 he released a solo single, "Spread a Little Happiness" from the Dennis Potter television play Brimstone and Treacle. The song was a re-interpretation of a song from the 1920s musical Mr Cinders by Vivian Ellis, and was a surprise top-twenty hit in the U.K. Sting's first solo album, 1985's The Dream of the Blue Turtles, featured a cast of accomplished jazz musicians, including Kenny Kirkland, Darryl Jones, Omar Hakim, and Branford Marsalis. It included the hit single "If You Love Somebody Set Them Free". The album also contained the hits "Fortress around Your Heart", "Russians", and "Love Is the Seventh Wave". Within a year, it reached triple platinum. This album gained Sting a Grammy nomination for Album of the Year. The film and video Bring On the Night documented the formation of the band and its first concert in France. Also in 1985, he sang the introduction and chorus to "Money for Nothing", a song by Dire Straits. He later performed this song with Dire Straits at the Live Aid Concert at Wembley Stadium. Sting also provided a short guest vocal performance on the Miles Davis album You're Under Arrest. He also sang backing vocals on Arcadia's single "The Promise", and contributed a version of "Mack the Knife" to the Hal Willner-produced tribute album Lost in the Stars: the Music of Kurt Weill. Sting released ...Nothing Like the Sun in 1987, including the hit songs "We'll Be Together", "Fragile", "Englishman in New York", and "Be Still My Beating Heart", dedicated to his recently-deceased mother. It eventually went double platinum. The song "The Secret Marriage" from this album was adapted from a melody by German composer Hans Eisler, and "Englishman in New York" was about the eccentric writer Quentin Crisp. The album's title is taken from William Shakespeare's Sonnet number 130. In February 1988 he released ...Nada como el sol, a selection of five songs from Nothing Like the Sun which he sang in Spanish and Portuguese. Sting was also involved in two other recordings in the late 1980s, the first in 1987 with noted jazz arranger Gil Evans who placed Sting in a big band setting for a live album of Sting's songs (the CD was not released in the U.S.), and the second on Frank Zappa's 1988 Broadway the Hard Way, on which Sting performs an unusual arrangement of "Murder by Numbers", set to the tune "Stolen Moments" by jazz composer Oliver Nelson, and "dedicated" to fundamentalist evangelist Jimmy Swaggart. Sting's 1991 album The Soul Cages was dedicated to his recently-deceased father and included the top-ten song "All This Time" and the Grammy-winning "Soul Cages". The album eventually went platinum. The following year he married Trudie Styler and was awarded an honorary doctorate in music by Northumbria University. In 1993, he released the album Ten Summoner's Tales, which went triple platinum in just over a year. The title is wordplay on his surname, Sumner, and Geoffrey Chaucer's classic The Canterbury Tales. Concurrent video albums were released to support Soul Cages (a live concert) and Ten Summoner's Tales (recorded during the recording sessions for the album). In May 1993, Sting released a cover of his song from The Police's album Ghost in the Machine, "Demolition Man" for the film Demolition Man. In 1994, Sting, Bryan Adams and Rod Stewart performed the chart-topping song "All for Love" from the film The Three Musketeers. The song stayed at the top of the U.S. charts for five weeks and went platinum; it is to date Sting's only song from his post-Police career to top the U.S. charts. In February, he won two more Grammy Awards and was nominated for three more. The Berklee College of Music gave him his second honorary doctorate of music degree in May. In November, he released a greatest hits compilation called Fields of Gold: the Best of Sting 1984-1994, which was eventually certified double platinum. In 1996 he released Mercury Falling. He reached the top forty with two singles in the same year: "You Still Touch Me" and "I'm So Happy I Can't Stop Crying". During this period, Sting was also recording music for the Disney film Kingdom of the Sun, which went on to be reworked into The Emperor's New Groove. The film went through drastic overhauls and plot changes, and Sting's songs were not used in the final film. The story was put into a final product: The Sweatbox, which premiered at the Toronto Film Festival. Disney currently holds the rights to the film and will not grant its release. That same year Sting also released a little-known CD-ROM called All This Time, which included music, commentary, and custom computer features describing Sting and his music from his perspective. The Emperor's New Groove soundtrack was released, however, with complete songs from the previous version of the film. The final single used to promote the film was "My Funny Friend and Me". Sting's1999 album Brand New Day included the top-forty hit "Brand New Day" and the top-ten hit "Desert Rose". The album went triple platinum by January 2001. In 2000, he won Grammy Awards for the album and for the song of the same name. At the awards ceremony, he performed "Desert Rose" with Cheb Mami. For his performance, the Arab-American Institute Foundation gave him the Kahlil Gibran Spirit of Humanity Award. However, Sting was criticised for appearing in a Jaguar advertisement using "Desert Rose" as its backing track, particularly as he was a notable environmentalist. In February 2001, he won another Grammy. His song "After the Rain Has Fallen" made it into the top forty. His next project was to record a live album at his Tuscan villa, which was released as a CD and DVD, as well as being simulcast in its entirety on the internet. The resultant album and DVD ...All This Time was released in November and featured re-workings of Sting favourites such as "Roxanne" and "If You Love Somebody Set Them Free". It was recorded on 11th September 2001 and is dedicated "to all those who lost their lives on that day". In 2002 Sting won a Golden Globe Award and in June, he was inducted into the Songwriters Hall of Fame. In the summer, Sting was awarded the honour of Commander of the Order of the British Empire (CBE). In 2003 he released Sacred Love, a studio album collaboration with hip-hop artist Mary J. Blige and sitar player Anoushka Shankar. He and Blige won a Grammy for their duet "Whenever I Say Your Name". His autobiography Broken Music was published in October. Sting embarked on a Sacred Love tour in 2004 with performances by Annie Lennox. Sting went on the Broken Music tour, touring smaller venues, with a four piece band kicking off in Los Angeles on 28 March 2005 and ending this "College Tour" on 14 May 2005. Continuing with his involvement in Live Aid, he appeared at Live 8 in July 2005. 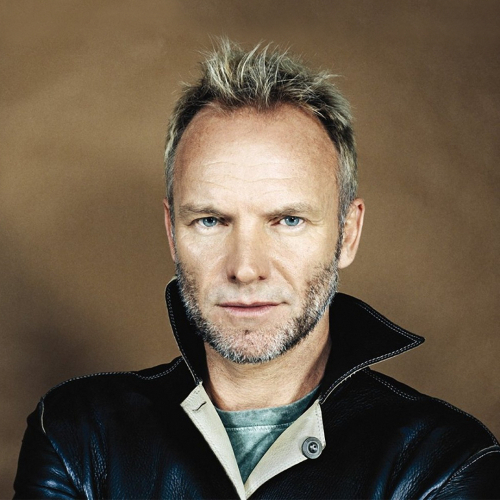 In October 2006, Sting released Songs from the Labyrinth featuring the music of John Dowland (an Elizabethan-era composer) and accompaniment from Bosnian lute player Edin Karamazov. As a part of the promotion of this album, he appeared on the fifth episode of Studio 60, during which he performed a segment of Dowland's "Come Again" as well as his own "Fields of Gold" in an arrangement for voice and two archlutes. In October 2009 Sting released If On a Winter's Night, a celebration of winter and rebirth. The album begins with traditional music of the British Isles, going on to carols, lullabies spanning centuries such as "The Snow It Melts the Soonest" (traditional Newcastle ballad), "Soul Cake" (traditional English "begging" song), "Gabriel's Message" (fourteenth-century carol), as well as two of Sting's own compositions: "Lullaby for an Anxious Child" and "The Hounds of Winter". Also featured on the album is "Hurdy Gurdy Man", a musical reworking and English translation (by Sting) of "Der Leiermann" from Franz Schubert's Winterreise. Guitarist Dominic Miller joins him as well as an ensemble of harpists, pipers, and fiddlers creating an acoustic meditation on winter. BMI Award - 2016 On October 10, 2016, Sting was awarded the Icon Award at the BMI Awards in London, UK. In announcing the award, BMI CEO Mike O’Neill hailed Sting as “truly a creative force, a brilliant songwriter, an artist”.